At Om Xpress Print Pack P Ltd., we print all kinds of prochures. We can supply brochures in custom sizes & shapes with center pinned/perferct bound/PUR bound options. We are providing the best quality approved an array of Corporate Brochure Printing Service in the market. Skilled professionals check these services on various standards of quality in order to client satisfaction results. Apart from this, these offered services are highly demanded in the market for cost effectiveness and promptness. Application: Spot UV, Hot Foil Stamping, Embossed Hard Cover and Soft Cover Binding. 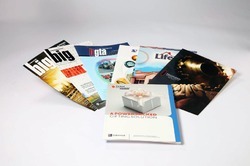 Leveraging on our extensive market knowledge, we are providing a high-quality Brochure Printing Services. Owing to our principled business strategies and understanding of this business arena, we are immensely involved in providing Brochure Printing Service. These services are credited due to their timely execution and cost effectiveness. Moreover, these services are provided beneath the supervision of trained personnel. 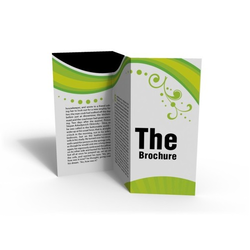 Owing to our prosperous knowledge of this area, our firm is occupied in offering Brochure Printing Services.